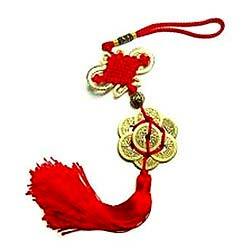 The 8 Coins tassel is a wealth attractor for period 8. It is potent to improve wealth luck, windfall luck and speculative luck for example those who investing in shares or buying lotteries. Hang these 8 Coins on your handbag, in your car, on your office door to ensure money luck always with you.